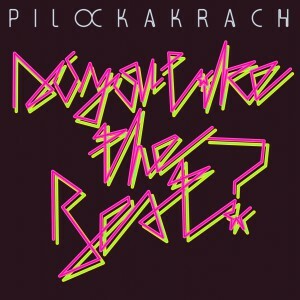 Berlin born and raised Pilocka Krach. parents mathematics and free minds. played with punchcards and electronics mother programmed games on cassette. freaked out on her first disko for kids and could not stop dancing. her mission (pionierauftrag) in school was to organize parties, playing theatre and singing. produced mix tapes by hanging around in front of the radio all through the night. her career as a recording artist started in adolescence in finding strange ways to collect sounds. working with shaking cheap (eiernden) turntables made her a tight mixing arounder. fashioned drummachines (accompanies noisefreejazzer Philipp Quehenberger on stage). dj dj dj – the dj ing never stopped. got mpc addicted made her self a name as a rocker with fresh beats and surprising performances. blabla. autodidact. loves synthesizer and toy stuff also to perform. doesn’t make music with the computer. uses computer as hard disk recorder. in the middle of the musicindustrie crisis she reaches the audience not with selling records, but with authentic shows all over the world. except china and mind-blowing music. people freak out. on top of it she founds the 7inch collectors label “greatest hits international” . in 2015 she finally releases her first album “best of” on monika enterprise.